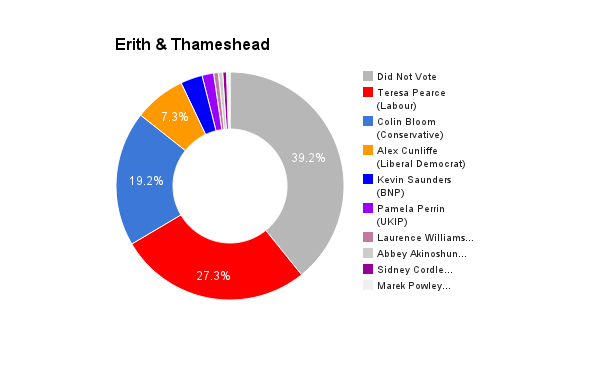 Erith & Thamesmead is located in Greater London. The seat was created in 1997 and has been held by the Labour party ever since. The current member of parliament is the Labour Party’s Teresa Pearce who has served since 2010. 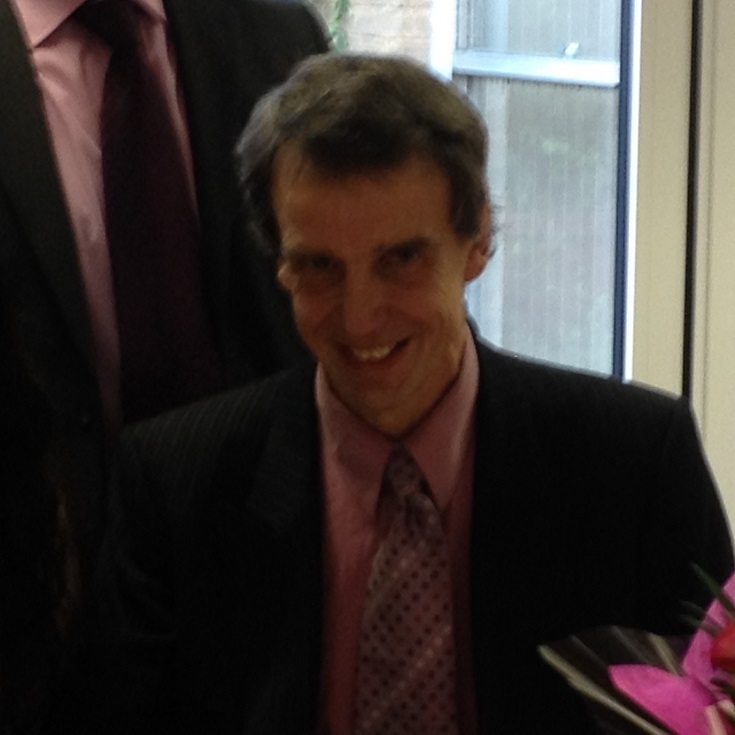 Sidney Clifford Cordle MBE has been leader of the Christian Peoples Alliance since December 2012. He has brought to the party many years of political experience with the Conservative Party which he left in 2004 not being happy with Michael Howard’s leadership. He has steered the party towards EU scepticism. The party now wants a referendum on the EU and says if nothing changes in Cameron’s negotiations they will vote to leave the EU. In the meantime they are working within the ECPM to bring about moral and democratic reform. I have already knocked on more than 5,000 doors in the constituency. I will attend meetings as requested. I will respond to all queries raised with me. I will hold regular surgeries in all areas of the constituency. I will call aat peoples homes to discuss problems with them personally as required. I have lived in the constituency for 4 years. The door knocking I have done referred to above mean I have listened to peoples problems and have my ear to the ground. I am willing to engage personally wit people and always respond honestly to issues raised with me. I believe I have the right approach to solving problems and taking the constituency and country forward. She has promoted business in the constituency and helped bring in jobs for people. She has worked closely with the Council to keep green open space and make sure development is done correctly. She has supported schools and helped maintain a good record in most local schools. She is supporting the idea of a new bridge across the Thames which will serve the constituency if and when its built. She is bringing substantial new housing into the constituency. I don’t think she had anything to do with crossrail coming to Abbey Woof but if I’m wrong that is also welcome. If you examine the state of the economy in 2010 and look again at it in 2015 you have to say, inflation lower, deficit increasing more slowly, interest rates stable, currency stable, growth up substantially, now at last wages rising faster than inflation. Unemployment is down but I have a major concerns about 0 hours contracts. Labour have no alternative economic policy. They will not reverse any single measure in the budget and won’t reverse any single austerity measure. That is absolute evidence that the economic policies are right. The coalition have not increased the minimum wage enough and cutting benefits is the wrong approach. Too much capital spending has been focussed on transport rather than helping industry and they have avoided solving the massive problem of airport under capacity in London. They have not done everything right but they have absolutely proved Labour wrong who called repeatedly for plan B in 2010 and 2011 and have now abandoned plan B themselves. This is a complex problem which cannot be answered in a single sentence. We have detailed policy on our web site. In a nutshell we want immigration policies applied strictly and fairly. If people have a right to be here they should be welcomed and supported in every way possible. Labour’s policy of secretly encouraging as many people as possible to come to the UK to make the growth figures look good was a disaster. We do not need immigration but we do need to treat immigrants who need to be here and have a right to be here with full respect and honour. The idea that they should be second class citizens with “British people presumed to have a right to jobs above immigrants” as UKIP have said is abhorrent. It has alreay been corrected with wages now rising 3% above the rate of inflation. The major thing though is that 0 hours contracts should be outlawed in most instances, they are not necessary except perhaps for people in retirement who want them as casual work to supplement a pension but even then if someone is called in it should be compulsory to pay them at least 2 hours. Calling people in to work on 0 hours and contracts and then sending them home with no money is completely unacceptable. We should also increase the minimum wage to £8 per hour as soon as possible and then look to raise it further from there. CPA will always be a friend of the poor. The CPA will end the culture of bureaucracy in the NHS and do all we can to assist doctors to be able to make the best clinical decisions and prescribe the best treatment in all cases starting with the GP. a. Impose a moratorium on Accident & Emergency and hospital closures and re-configurations unless there are evidence-based, clinical reasons which have the support of the local population and the affected professional staff. There have been enough closures and changes. b. Encourage nursing training to contain an increased sense of vocation and enable nurses to be involved in the care of patients to a greater extent. d. Restore a pro life ethic across the NHS so that every member of staff is doing their best to assist the healing of a patient and are not asking questions about whether their life is worth living. e. Provide the means for staff to identify and report their concerns about quality of care and patient safety without fear of recrimination for whistle blowing. f. Restore the voice of the patient and improve responsiveness to patients and public by improving the NHS complaints process and by instituting independent, accessible bodies with statutory powers to intervene and act on concerns expressed by patients and staff. g. Reduce the NHS and Department of Health dependence on management consultants; increase the influence of healthcare professional bodies, health staff and patient groups; and restore responsibility for health planning to public health and clinical leaders. h. Use the purchasing power of the NHS to get the best deals for all NHS supplies, equipment, and pharmaceuticals for the benefit of patients. i. Increase efficiency at all levels including dealing with engineering and repairs. 1. Taxation must be fair. There is a need for some changes in the taxation system. 2. Maintain the Public Spending infrastructure program but review it to establish if the schemes proposed are the best ones and include in it investment in industry not just primarily transport. 3. Phase out the housing schemes. These schemes are creating a dangerous bubble that unchecked can only lead to higher interest rates. 4. Encourage wealth to be distributed more fairly. 5. Reform the Banking System. These 5 principles are expanded on in detail in our manifesto. I want to say very clearly. It is not the state the produces jobs, it is private enterprise which if successful then allows the state to run necessary services through taxation which will also provide jobs. So at its core we have to help and support industry which we can in lots of ways. In other words as has been said before, “First we have to create the wealth before we can spend it.” It would seem to me Labour and the Greens don’t understand this basic concept. Of course Government can give incentives to help young people get jobs and to help long term unemployed back to work which are in place and are very necessary to support and increase. I am informed only 4% of Parliament is comprised of black and minority ethnic candidates, whereas this statistic in the UK as a whole is closer to 18%. Around 20% of Parliament is comprised of women rather than around 50%. We would therefore support a major drive to increase the representation of ethnic minorities and women. The Christian Peoples Alliance has traditionally done very well with have a large number of both ethnic minority and female candidates. We will work hard to make sure that continues. Work should also be done to make sure that such are well represented among House of Commons researchers as researches often later become MPs. If the vote was taken tomorrow we would be campaigning to leave the EU. (Bear in mind we are told negotiations wiill take place that may change the situation. WE will take note of any changes that could then alter our position but at this point we don’t think they will). Until then and so long as we are part of the EU we will be working with other Christians in the European Christian Political Movement to bring about moral and democratic reform. The idea that Britain has to remain in the EU and has to accept all its myriad of regulations is palpably false. Statistics show clearly that by 1990 our growth in the EU had declined to zero. The mass of new regulations have hurt our economy and the growth in our exports has been more outside than inside the EU. It was only after we left the ERM (Exchange Rate Mechanism) in 1992 that growth increased. It is now absolutely clear that we are better off outside the single currency, though the Labour and Liberal Democrat parties and many in the Conservative Party wanted us to join the euro. One of the main arguments for this was that if the European Central Bank were situated in Frankfurt, and Britain was not a member of European Monetary Union, the financial centre of London would lose its importance. In fact in the latest Global Financial Centres Index (GFCI 12) London is not only still rated first, it has improved its lead over New York. Frankfurt is rated thirteenth its rating having declined and it is also behind 2 European cities that have never been in the EU, Zurich and Geneva. Frankfurt is not among the 10 centres likely to become more significant. London is, despite already being top. Neither is Frankfurt among the top 10 centres where financial institutions say new offices will be opened. London is third. The cities that have really lost out are Paris (29th) and Amsterdam (31st) which are in the eurozone. Economically Britain has gained enormously by having an inflation target instead of an exchange rate target since 1992. This is what has led to a stable currency and stable low interest rates. The CPA will examine the facts and speak out the truth. There is no economic argument left for us to join the euro. There are massive economic arguments for us to keep the pound. The idea that only a federal structure can keep the peace in Europe has been shown to be palpably false by the way the federal republic of Yugoslavia disintegrated amid massive bloodshed. The break up of the old Soviet Union is another example. A federal structure therefore is no more likely to solve conflicts than any other. Rather, history has shown democracy to be the most effective means of ensuring peace between nations. Rarely has there been war between two democracies. The EU, however, is undermining the democratic relationship between the nation states and the people they represent by imposing laws with no democratic mandate. The key reasons we were told we had to be in the EU in the first place, economic gain and keeping the peace in Europe have therefore both been shown to be false. Also major issues, lack of democracy, corruption and the failure to uphold any Christian values which are expanded on in our manifesto. WE ARE ABSOLUTELY THOUGH NOT A RACIST PARTY AND OPPOSE THE EU NOT EUROPEANS.